Picture this: you are a skilled Mexican citizen who is working for a United States company. For the holiday season, you and your family go to Mexico City, to spend time with your parents and upon return to the US, you are denied access because your H-1B visa has been invalidated because the employer that originally sponsored your visa is no longer in existence due to a merger. You work for the new, merged company, but the company that sponsored you is no longer your employer. This denial of entry results from the fact that most work visas are employer-specific. Therefore, changes in a company’s structure could affect the validity of a foreign national employee’s nonimmigrant visa status or a pending green card application. Determining whether a corporate restructuring affects the employer that filed the visa petition with the U.S. Citizenship and Immigration Services (USCIS) or Department of State (DOS) is essential. The consequences of a merger or acquisition depend upon the type of nonimmigrant visa the company’s employees hold. In this post, we focus on the H-1B visa because it is the most common temporary work visa and the rules applicable to H-1Bs are echoed by many of the other forms of visas. For the sake of comprehensiveness, non-immigrant workers normally fall within the H-1B, L, E and TN visa categories as well as on training tied to J-1 and F-1 visas. The problem arises because an employee must have a valid H-1B visa annotated with the petitioning employer’s name. In the event a company is absorbed by another entity during a merger, the petitioning employer, essentially, no longer exists. H-1B visas are the most common temporary visa for U.S. companies that hire foreign national workers for specialty jobs. Workers are required to have at least a bachelor’s degree, and they must work in a specific geographic location in a specific position for a specific salary. When a company hires an H-1B worker, it is required to make an attestation to the U.S. Department of Labor (DOL) they will comply with the H-1B requirements. This attestation is made as part of a Labor Condition Application (LCA). 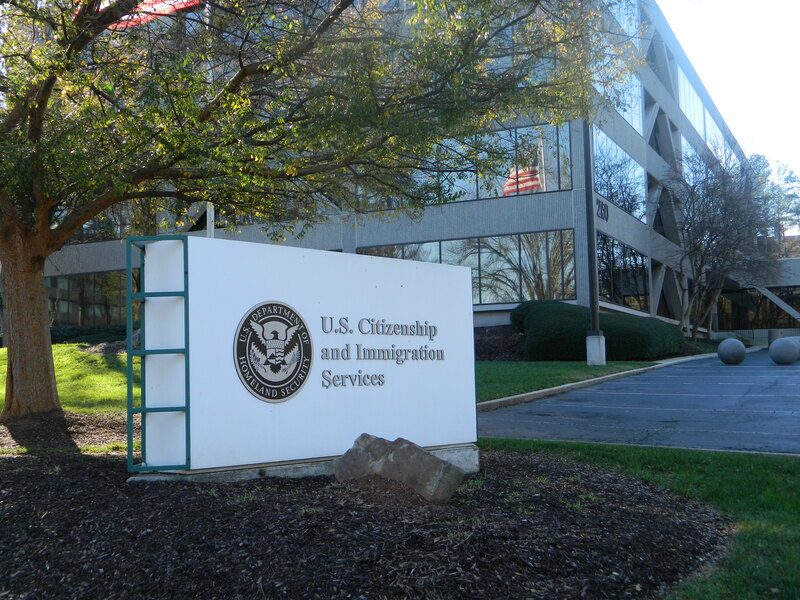 The USCIS requires an amended H-1B visa petition to be filed if there are any “material changes” in the terms and conditions of an H-1B worker’s employment or eligibility. However, USCIS does not automatically require the filing of a new LCA and amended H-1B petition where a new corporate entity keeps the employee on in the same position and accepts the LCA and H-1B requirements and obligations, in other words, becomes a “successor-in-interest.” Here, the successor-in-interest, must make available for public inspection a sworn statement that it accepts all the obligations and liabilities of the LCAs filed by the predecessor entity, a list of affected LCAs, their dates of certification by DOL, a description of the new entity’s actual wage system and the federal employer identification number (EIN). The filing of the new LCA and must be done before the H-1B workers can work for the new company, or, in our example, return to the country legally. When there is a material change, like location change, then a new LCA or amended H-1B petition must be filed with DOL prior to the relocation of the employee in order to avoid filing an amended H-1B visa petition. Similar rules apply for L-1 (executives, managers and specialized knowledge employees), E-1 (treaty traders) and E-2 (investor) visas. At the federal level, the Department of Homeland Security is aggressively targeting employers for I-9 and work visa compliance audits; failed audits can result in significant fines and even jail time. At the state level, new laws in dozens of states allow authorities to fine employers, revoke business licenses and eliminate access to state contracts for immigration law violations. Employees on work visas are suing companies for negligence when employees fall out of legal status, have problems pursuing permanent residency, and face bars on coming back to the United States as a result of the companies’ actions. Major companies now include strong immigration compliance provisions in their vendor contracts, violations of which can result in the termination of the contract in question. Bad press that can impact the company’s economic performance and stock price. These matters are often complicated, and there are strong laws protecting employees, even foreign workers. Call TransLegal with your questions concerning immigration filing requirements in the event of corporate mergers and acquisitions. On February 24, 2016, President Obama signed the Trade Facilitation and Trade Enforcement Act of 2015, H.R. 644 (Customs Reauthorization Bill), into law. The law, which we summarized over the past two weeks, contains the most far reaching set of changes since the Customs Modernization (MOD) Act, including significant changes to the operations and programs of US Customs and Border Protection (CBP), new provisions for combating evasion of the antidumping (AD) and countervailing duty (CVD) laws, and the inclusion of brand new measures to protect intellectual property rights (IPR). This section amends 19 U.S.C. § 1321(a)(2)(C) to raise the de minimis threshold from $200 to $800. This amendment shall apply to merchandise imported or withdrawn from the warehouse for consumption on or after March 10, 2016. Section 304 calls for a process to enforce copyright protection for marks after the filing of a registration application, but before the application has been approved and the registration is in full force and effect. These steps are to take effect by August 2016. The Department of Commerce has been authorized to administratively investigate AD/CVD evasion and requires CBP to collect or preserve for collection AD/CVD duties owed on evading imports. These amendments are effective August 2016. Regulations to put the changes into effect are also called for by August 2016. Section 303(a) expands CBP’s seizure and forfeiture authority to explicitly include unlawful circumvention devices, as defined under 17 U.S.C. § 1201(a)(2) or (b)(1). CBP has to prescribe regulations implementing this process by February 2017. Section 116(b) requires the Commissioner to submit a report to Congress no later than August 2016 containing recommendations for determining the most timely and effective way to require foreign nationals to provide customs brokers with appropriate and accurate information (comparable to that which is required of United States nationals concerning the identity, address and other related information), and for establishing a system for customs brokers to review information maintained by relevant Federal agencies for purposes of verifying the identities of importers, including nonresident importers, seeking to import merchandise into the United States. As with all landmark legislation, the regulatory process is where the details will be provided. While regulations may not be issued immediately, importers may still feel the effects of this law sooner rather than later. For example, CBP has been taking steps to increase enforcement of AD/CVD and IPR provisions in anticipation of the passage of the law using existing processes. 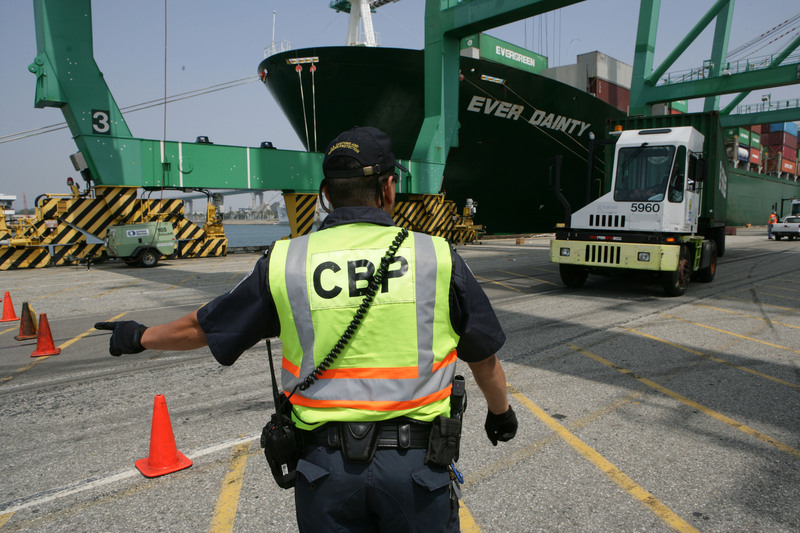 Importers are likely to see the effects of CBP enforcement under current processes. Contact TransLegal with your questions concerning the Trade Facilitation and Enforcement Act of 2015 / Customs Reorganization Bill. This week, we continue our summary of the changes to US trade law to be implemented by Trade Facilitation and Enforcement Act of 2015 (2015 Trade Enforcement Act) which passed earlier this month by the Senate. Title V contains various provisions aimed at aiding small businesses in export promotion activities. 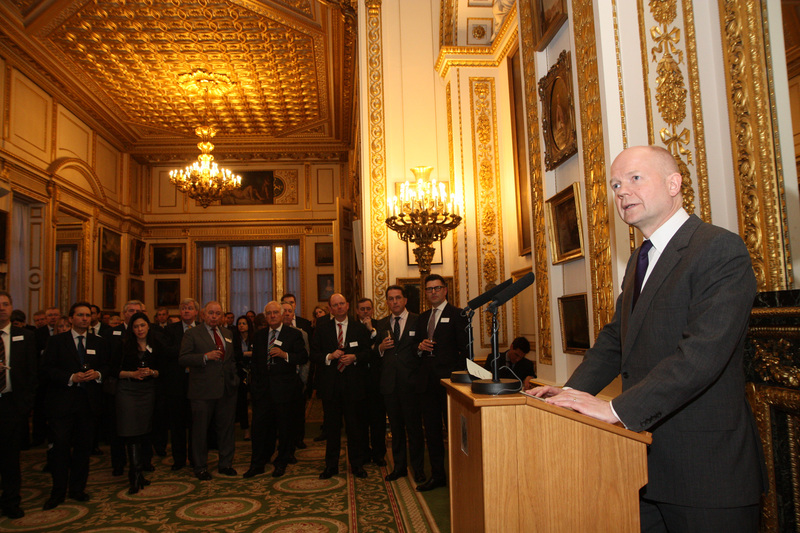 For example, it requires further outreach to small businesses on the potential impact of new trade agreements. It also establishes a grant program to states to carry out programs such as foreign trade missions, trade shows, and other forms of marketing and training for small businesses. States will undoubtedly take advantage of this program, and smaller companies should look into it if interested in international sales. 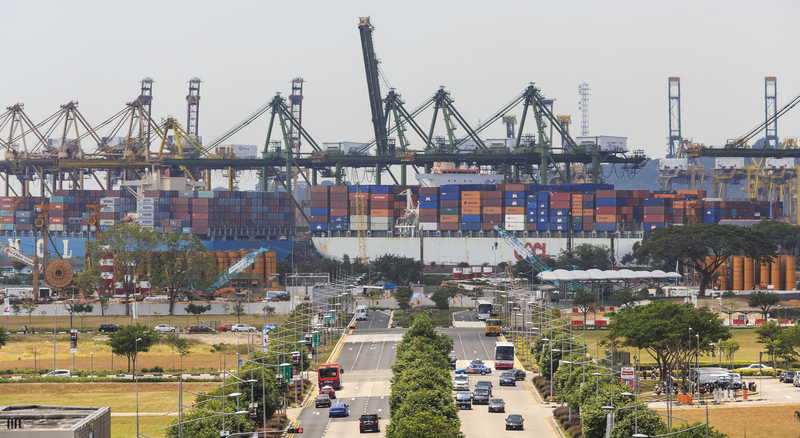 Title VI establishes a Trade Enforcement Trust Fund to be used by the United States Trade Representative (USTR) and other agencies to enforce US trade agreements and trade rights under the World Trade Organization (WTO) and US free trade agreements (FTAs). The trust fund could also be used for trade capacity building efforts. Title VI also requires US Customs and Border Protection (CBP) and Immigration and Citizenship Enforcement (ICE) to institute certain measures to stop illegal honey transshipment; and requires that the two agencies train and employ sufficient personnel to detect, identify, and seize cultural property, archeological or ethnological materials, and other fish, wildlife or plants that violate US laws. Title VI also codifies the establishment of the Interagency Trade Enforcement Center (ITEC). 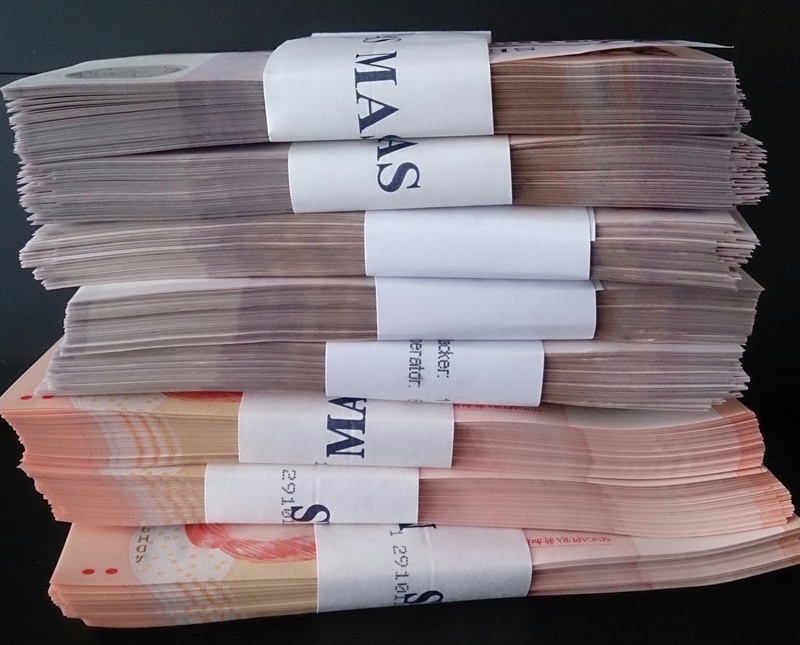 directs Treasury to take certain steps if it believes currency manipulation has occurred. The most contentious dispute involved competing proposals on currency manipulation that were not enacted in the final legislation, with the original Senate bill including a strict provision that would have enabled the US Department of Commerce to treat undervalued foreign currency as a prohibited government subsidy in countervailing duty investigations. Title VIII of the Act consists of two parts. First is the US Customs and Border Protection Authorization Act, which formally establishes the US Customs and Border Protection, along with operational offices within CBP and the positions of the Commissioner and Deputy Commissioner. Although the Act provides for a number of name changes to the internal offices within CBP and structure of their leadership, it is largely a formal codification of the existing structure and role of the agency. In fact, Section 802 specifically affirms that CBP shall continue to carry out the functions, missions, duties, and authorities previously vested within CBP prior to the passage of this legislation, and all rules regulations and policies issued by CBP remain in effect. 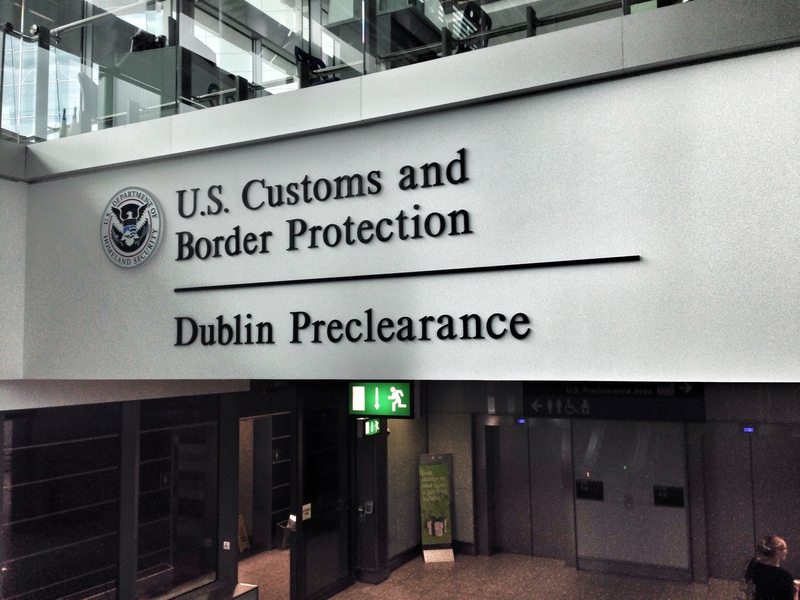 allow CBP to enter into cost-sharing agreements with the airport authorities (where preclearance locations are established) in foreign countries for preclearance operations costs, immigration services, and agricultural inspection services, enabling CBP to receive payments in advance of the incurrence of the costs or on a reimbursable basis. imposes a moratorium on certain internet taxes being imposed by the States or other localities (Sec. 922). Contact TransLegal with your questions concerning the Trade Facilitation and Enforcement Act of 2015. 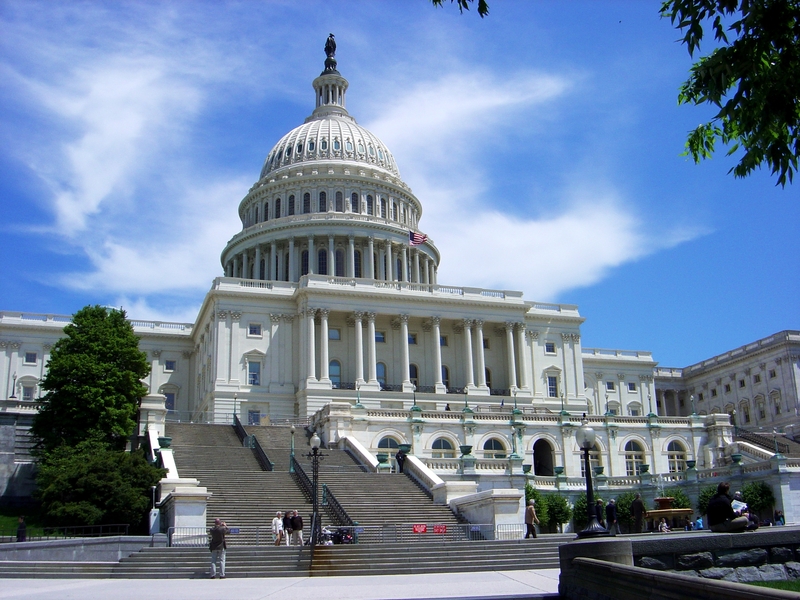 After more than two years of debate, last week, the United States Senate passed the Trade Facilitation and Enforcement Act of 2015 (2015 Trade Enforcement Act). The legislation contains the most far reaching set of changes since the Customs Modernization (MOD) Act. Of particular significance is the inclusion of brand new measures to protect intellectual property rights and to combat antidumping and countervailing duty violations, including a mandate that Customs and Border Protection (CBP) establish its own program for these purposes. Surprisingly, the major provisions of the Act received almost universal support from the trade community. The House had passed the bill last year, but it got bogged down in the Senate because of an unrelated internet sales tax provision. While the provision remains in the final version of the law passed by the Senate, the Senate leadership in return has agreed to take up new Internet sales tax legislation this year. President Obama is anticipated to sign the legislation into law this week. The 2015 Trade Enforcement Act makes some significant changes to the operations and programs of CBP, adds new provisions to the antidumping and countervailing duty laws, including new procedures to combat evasion of AD/CVD orders, and revamps the drawback laws. This week, we begin a short summary of the more significant changes. We will continue our summary next week. 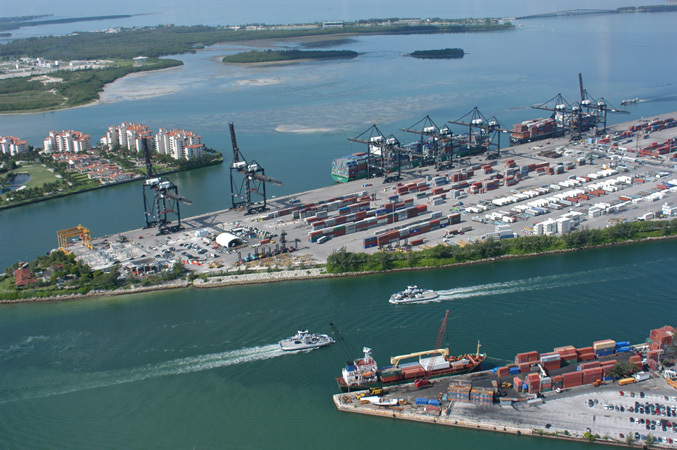 establishes a new importer program that directs CBP to adjust bond amounts for new importers based on the level of risk assessed by CBP for revenue protection. CBP is required to develop risk-based guidelines and procedures to ensure increased oversight of imported products of new importers, including new non-resident importers. Title II creates an interagency import safety working group, chaired by the Secretary of Homeland Security. 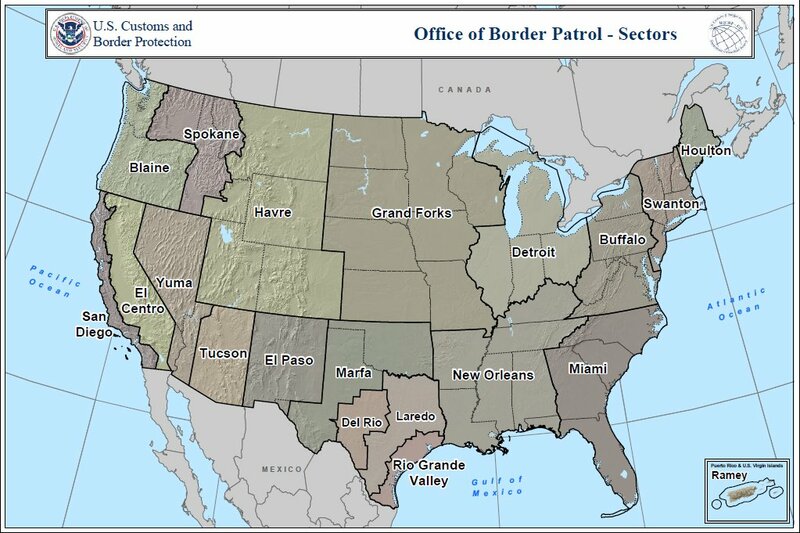 The group is responsible for developing a joint import safety rapid response plan to establish protocols and practices that CBP, in conjunction with other federal, state and local authorities, must use when responding to cargo that poses a threat to the health or safety of US consumers. Title II also requires joint exercises with these entities and training for CBP port personnel in enforcement of import health and safety laws. calls for an increase in IPR enforcement personnel. The Act adds significant new provisions to deter evasion of antidumping (AD) and countervailing duty (CVD) orders. Directed largely at steel imports, the new provisions, called the “Enforce and Protect Act of 2015” are likely to be invoked frequently by US producers combating imports under an AD or CVD order. In particular, the new law establishes a whole new procedure within CBP which allows US producers or wholesalers, unions, foreign manufacturers or exporters, or trade associations of a covered product to file an allegation that a party has entered covered merchandise through evasion. Importers beware! As soon as CBP can get this procedure up and running, it is likely to be very active. Once a complaint is filed and accepted, CBP is required to conduct a formal investigationwith specific deadlines. CBP can issue questionnaires just like in a trade remedy cases to importers and foreign producers. Failure to respond will result in “adverse inferences” regarding the alleged evasion. If evasion is found, CBP can suspend liquidation, order payment of duties owed, and pursue an enforcement action. The new anti-evasion measures of Title IV also include various directives for CBP to target and investigate potential evasion of AD and CVD orders, including setting up a new Trade Remedy Law Enforcement Division to more aggressively investigate possible evasion cases, and conducting aggressive auditing of firms at high risk. 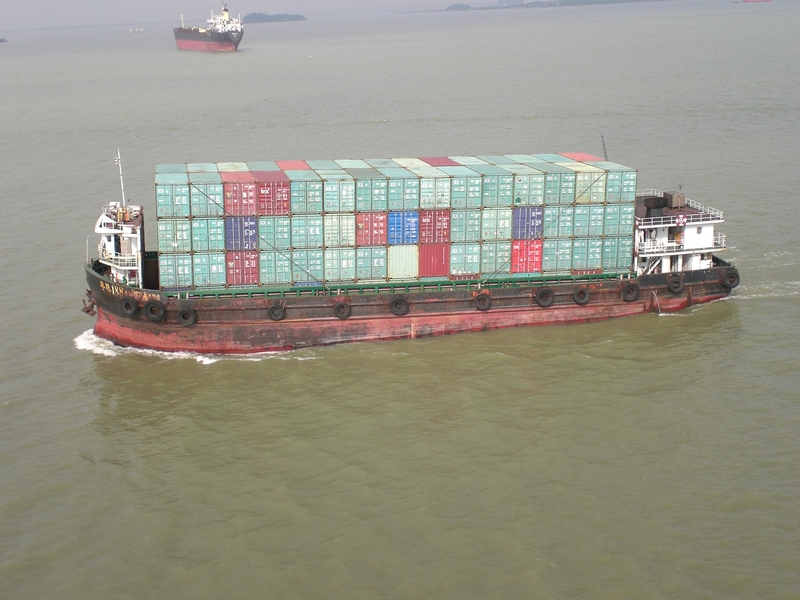 Failure to cooperate in an investigation by an importer or foreign exporter may result in a finding of evasion. As the name suggests, the TPS program is only temporary and does not guarantee lawful permanent status. Immigrants, however, may file for adjustment of status based on their immigrant petition. Besides the TPS program, there are other special immigrant programs which the US Citizenship and Immigration Services (USCIS) offers to certain countries. These programs include special benefits for people who lose citizenship by marriage or by serving in foreign armed forces, and certain employees and former employees of the US Government abroad. Extension or change of immigration status – If an immigrant has fallen out of status with USCIS because of a disaster, even if the request is filed after his/her authorized period has expired, the applicant can apply for an extension or change in status if s/he can prove direct connection with the disaster. Expedited processing of advance parole requests – USCIS will expedite the processing of advance parole requests if the applicant demonstrates s/he needs to leave the US for a family emergency in wake of a disaster. Fee Waiver – If the immigrant is able to demonstrate his/her inability to pay the relevant application fee, the applicant may request for a fee waiver. Expedited Processing – Adjudication for certain applications such as students with F-1 visas can be processed faster, if an individual needs to work off-campus to support himself/herself in lieu of a disaster. An applicant must demonstrate that s/he is experiencing severe economic hardship as a result of the disaster. Employment Authorization – Regardless of whether the disaster occurs in the United States or abroad, if the situation has affected the applicant’s ability to be self-supporting, and s/he has a pending employment authorization application, the work permit will be granted. 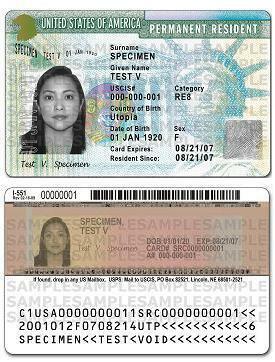 Replacement of Lost or Damaged Travel Documents – If an immigrant has lost or damaged travel documents due to the disaster, such as a Green Card, USCIS will help replace the documents. As mentioned earlier, a special situation can occur either in the US or abroad. In the past, special situation measures were implemented in Japan (earthquake and tsunami in 2011), Philippines (flooding in 2013) and Ebola affected countries. Domestically, special situations were implemented during Hurricane Sandy, which turned out be a huge relief for many immigrants who lost their legal documents during the disaster. Contact TransLegal to learn more about how immigrants affected by unforeseen circumstances can request relief from USCIS. This week, we begin a 2-part series on the Obama Administration’s Open Government Partnership. Today, we describe the program; the following posts will review the progress made by the participating countries. President Barack Obama believes that the strongest foundation for human progress lies in open economies, open societies, and open governments. Open governance describes a relationship between the government and its citizens that is founded on transparency, cooperation and the public’s participation. The concept of open governance ensures that a country’s citizens have access to their government’s information, data and processes. It demonstrates that governments are willing to respond to citizens’ suggestions and collaboratively work together to solve the issues currently challenging the country and its political system. In participating in active communications with their government, citizens should essentially be able to communicate with their country’s leaders, directly and indirectly, through complaints, criticisms and suggestions. In an open government structure, mechanisms are put in place so that citizens can request better services fully knowing that their government has the capability of responding accordingly. With the concept of open governance in mind, the Open Government Partnership (“OGP”) was formally launched on September 20, 2011. A completely voluntary multilateral initiative, OGP’s primary objective is to secure firm commitments from governments to promote open governance by combating corruption, improving transparency, empowering citizens and utilizing new technologies to improve governance. The eight founding governments include the United States, the United Kingdom, South Africa, Indonesia, Mexico, Brazil, Norway, and the Philippines. By aiding participating governments in becoming more transparent, accountable and responsive to their own citizens, the OGP’s ultimate goal is to improve the quality of services citizens receive as well as the quality of governance. 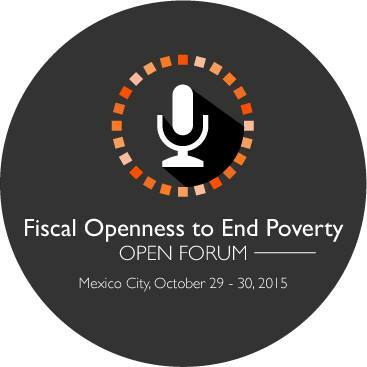 To become a member of the OGP, participating countries must first meet the standards of eligibility. A potential OGP country must substantiate its commitment in the four main areas of fiscal transparency, information access, disclosures of income and assets, and citizen engagement. Using public sources for data, OGP scores the countries on a 100-percent scale; each country must score at least a 75% in each main category. In addition to the categorical rating, the country must submit a letter of intent and must designate a leading ministry or agency to begin implementing the country’s respective open government strategy. After passing the initial criteria for membership, as a new member of the OGP, participating countries are required to: 1) accept a “high-level Open Government Declaration”; 2) develop a “concrete action plan” created through public consultation; and 3) agree that their progress going forward can be reported by independent sources. 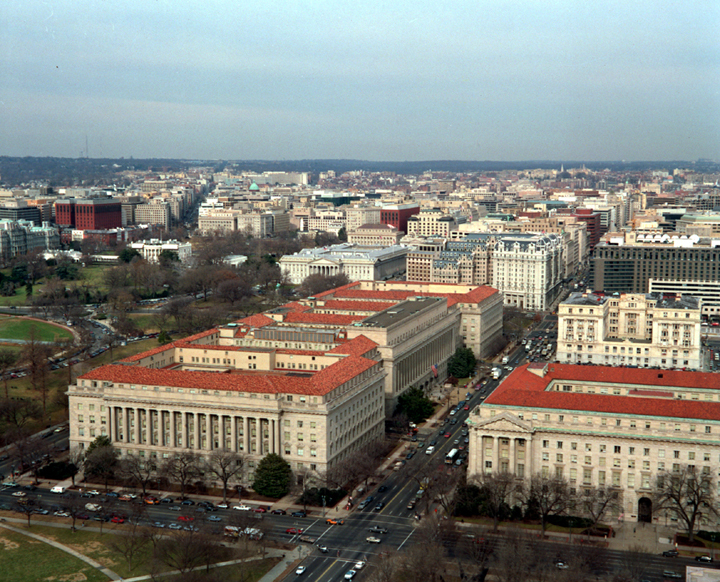 By agreeing to uphold the Open Government Declaration, a government makes a commitment to increase the availability of information about governmental activities, support civic participation, implement the highest standards of professional integrity throughout its administrations, and increase access to new technologies for openness and accountability. Governments that wish to participate in the OGP must also establish rules that require public disclosure of assets and income for senior and elected public officials because such rules are integral to fighting corruption and facilitating government accountability. Additionally, governments must develop fiscal transparency by publishing essential budget documents in a timely manner in order to promote budget accountability and an open budget system. In supporting both government reforms and civil society recommendations, OGP aspires to advance open government by providing a cover for challenging reforms and forming a community of supportive like-minded reformers from countries worldwide. Since its inception, the OGP’s eight founding governments have received the commitment of 57 other governments as members. In total, OGP’s 66 participating countries have made more than 1,000 commitments for the purpose of making their governments more open, transparent, and accountable. In the almost four years since its formation, the question that should now be considered is whether a firm foundation for open governance has been established, and if it has, whether that foundation has a positive effect on its participating countries. TransLegal is available to discuss how the Open Government Partnership may affect corporations and individuals in the member states. Call us with your questions. Today, we continue with our series on the Trans-Pacific Partnership (TPP) and Transatlantic Trade & Investment Partnership (TTIP) by discussing the goals of the partnerships and whether the trade agreements will truly benefit US businesses. The principal goals of the TPP are to promote and grow trade and investment among the partner countries, to stimulate innovation, general economic growth and development, and to encourage job creation and training programs. Although the actual text of the treaty is classified, general outlines and summaries of the agreement have been provided. The United States Trade Representative (USTR) informs that the TPP seeks to address issues that promote: 1) regulatory coherence; 2) competitiveness and business facilitation; 3) Small and Medium-Sized Enterprises (SMEs); and 4) Development. The TPP seeks to achieve these goals through comprehensive market access by eliminating barriers to goods, services, trade and investment. Such access would create new opportunities for workers and businesses in the member states and immediately benefit consumers. In addition to tariff elimination, the TPP would adopt common guidelines and standards for intellectual property, enforcement of labor and environmental laws the establishment of an investor-state dispute settlement mechanism. The Obama Administration considers the TTIP a companion agreement to the TPP. 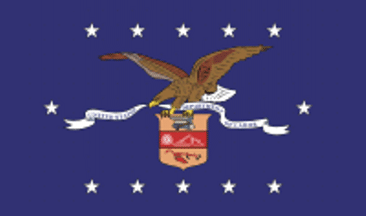 According to the USTR, the TTIP is intended to be an ambitious and comprehensive trade agreement that significantly expands trade and investment between the United States and the EU, increases economic growth, jobs, and international competitiveness and addresses global issues of common concern. The European Commission categorizes the topics under discussion into three broad areas: market access; specific regulations; and broader rules and principles, and modes of co-operation. The TTIP goal is to liberalize 1/3 of global trade”, which, proponents argue, will create millions of new paid jobs. The true economic gains from the TTIP, however, will depend on how the US and EU contend with their oftentimes duplicative and conflicting rules related trade and other regulatory issues. TransLegal routinely assists companies comply with regulatory requirements overseas. Uniform regulations greatly help expand trade among nations simply by making it easier for businesses to understand their obligations. The Bottom-Line Issue: Will the TPP and TTIP benefit American Businesses? Wish we could answer that one! Not surprisingly, and as in all things economic and political, the experts disagree how the TPP and TTIP will affect American businesses. With regard to the TPP, estimates predict that it would generate $5 billion in economic benefits to the US in 2015, and $14 billion in 2025. Proponents state that if the impact of investment liberalization were taken into consideration, the economic benefits would likely be larger. Proponents also argue that small businesses may actually benefit from the trade liberalization because they are less likely than large businesses to establish overseas subsidiaries to overcome existing trade and non-trade barriers. Critics, however, state that the winners of the TPP agreement would be larger US businesses in the agriculture, insurance, manufacturing, pharmaceutical, technology sectors that can be poised to expand exports as nations ratify the treaty. The European Commission says that the TTIP has the potential of increasing overall trade between the two parties as much as 50%. It also claims that the TTIP would contribute €120 billion to the EU economy, €90 billion to the US economy and €100 billion to the economies of other countries. If the TTIP were only to focus on tariffs, it is estimated that the partnership would result in an annual EU GDP growth of €24 billion by 2027 and annual growth of €9 billion in the United States. If shared equally among the affected people, the Commission notes that the most optimistic GDP growth estimates would translate into additional annual disposable income for a family of four of €545 euros in the EU and €655 euros in the US. Critics on this side of the pond note that long–standing membership in the World Trade Organization, work by the Transatlantic Economic Council and other trade agreements like U.S. Open Skies Agreement have already resulted in low trade barriers between the US and the EU. Therefore, the deal should focus on non-conventional barriers such as overriding national regulations regarding fracking, GMOs, finance and copyright. This may prove a challenge especially in those areas of agriculture, food and environmental law where the the parties are particularly far apart. We will continue this series in mid-Autumn. TransLegal assists US and EU companies understand and comply with regulatory laws and regulations through our network of 51 correspondent offices in 51 countries. Contact us with your questions concerning regulatory requirements in the country that interests you. To Deal or Not to Deal? Among the many points of disagreement between the political parties are the benefits of trade agreements. Currently, the two possible deals discussed most often are the Trans-Pacific Partnership (TTP) and the Transatlantic Trade and Investment Partnership (TTIP). In very basic terms, the TPP is a trade agreement with Asia, while the TTIP is a trade agreement with European Union. These agreements will have enormous impact on the United States. Furthermore, timing will make it more interesting: finalization of each is expected in 2016, during an election cycle. The TPP began as the Trans-Pacific Strategic Economic Partnership Agreement. TPP negotiations have been ongoing since 2005, and the US joined the negotiations in March 2008. Twelve countries are currently participating: Australia; Brunei; Canada; Chile; Japan; Malaysia; Mexico; New Zealand; Peru; Singapore; US; and Vietnam. The combined total GDP of these 12 nations is 40 % of global GDP and represents 1/3 of world trade – ~ US$27.7 trillion. The global benefits of the TTP have been placed at as much as US$295 billion annually. 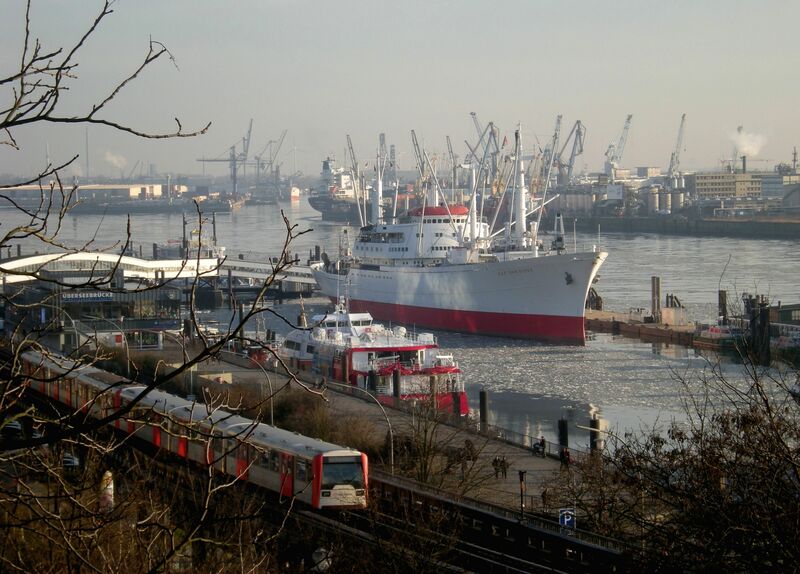 Since the 1990s, there has been a Transatlantic Free Trade Area. By that time, the Cold War had ended, and the world was no longer divided into conflicting blocs. The European Community (12 countries) and the US decided to sign a “Transatlantic Declaration”. The Declaration outlined yearly summits, biennial meetings among state ministers and more frequent meetings of political figures and senior officials. One of the early initiatives was the 1995 creation of the Transatlantic Business Dialogue (TABD), a pressure group of business people on both sides of the Atlantic. Since 1998, a series of advisory committees have been established: the Transatlantic Economic Partnership (1998); the Transatlantic Economic Council (2007); and a group of high level experts created in 2011. The experts ultimately recommended that talks should begin for a wide-ranging free-trade agreement. In 2012, President Obama used his annual State of the Union address to call for finalization of that agreement. Together, the United States and European Union represent 60 % of global GDP (33 % of world trade in goods and 42 % of world trade in services). TTIP would cover 46 % of world GDP, giving it the potential to be the largest regional free-trade agreement in history. The European Commission claims that passage of TTIP could boost trade between the US and EU by up to 50 %. Next time, we will discuss what the agreements include, how they will affect US businesses. Whether we should deal or not deal. TransLegal has 51 affiliate offices worldwide. We assist our clients navigate the intricacies of global trade. Contact us with your questions. An End to Fossil Fuels? The G7 recently agreed to completely eliminate fossil fuel use by the end of the century, citing fossil fuel scarcity and the looming dangers of climate change. This decision may come as a surprise to many in America, where drivers have enjoyed low gas prices and the crisis of fossil fuel scarcity has mostly been pushed out of the national consciousness. However, continued fossil fuel use remains a pressing issue: not only are carbon emissions contributing to rising temperatures and sea levels, but the methods of extraction themselves are proving increasingly dangerous to human health. Whether the G7’s goals can be met in 85 years and what negative impacts may occur in the interim are the unknowns. A major source of controversy and contention among big oil, the environmentalists and public and private health officials is hydraulic fracturing. 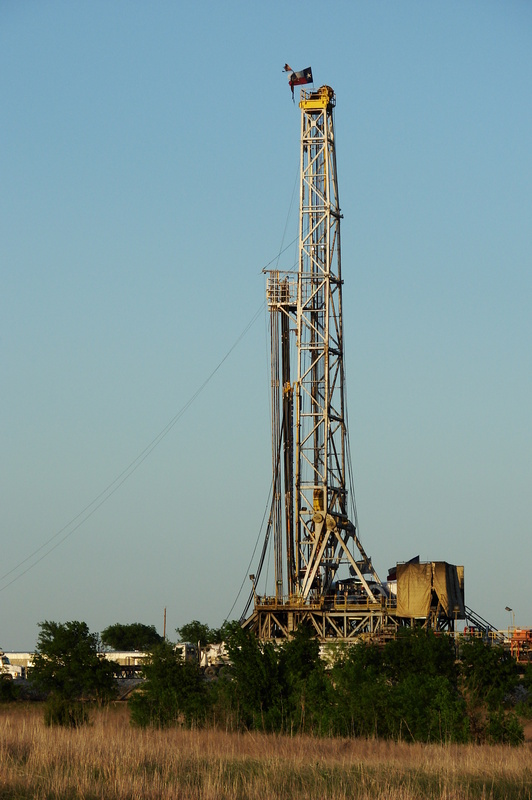 Otherwise known as fracking, hydraulic fracturing is a method for extracting oil and natural gas from shale deposits. It involves cracking the earth with pressurized water in order to bring the fuel deposits up to the surface. 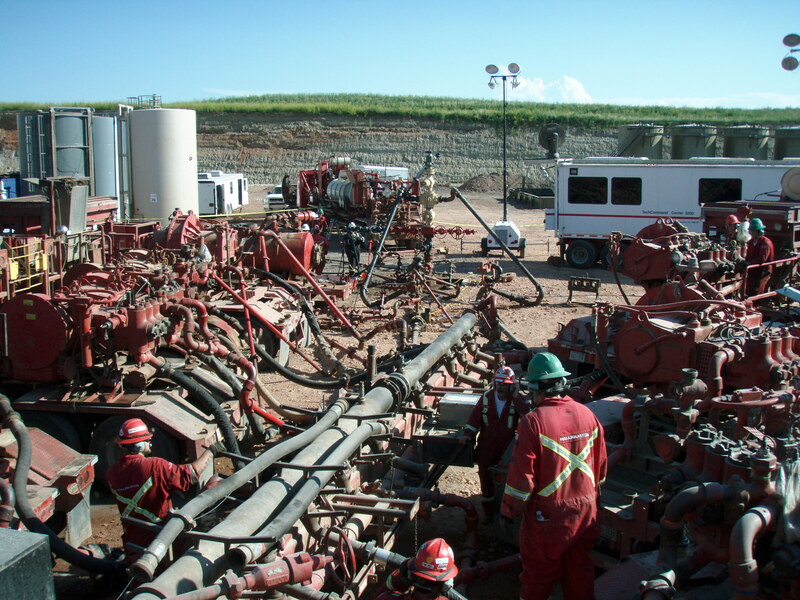 Before fracking, the fuel found in shale deposits was considered inaccessible. Post-fracking, America has enjoyed a glut of natural gas — mostly butane — released from shale. By 2010, the number of natural gas wells in the US had reached 510,000, nearly double the 2000 figure of 276,000. Every year, 13,000 new operations are begun, mostly in the Great Plains, the Great Lakes and the Marcellus Shale deposit that runs along the Appalachian basin. Compared to coal and oil, butane burns relatively cleanly. Short-term, however, the fallout from the fracking boom has been disastrous for public health. The fracking process releases toxic chemicals like methane and benzene into the local groundwater, rendering the water unfit for human consumption. Images of water flowing from faucets and catching fire have done little to ease the mind of the public. Roughly 15.3 million Americans, more than the entire population of New York City, are affected by this pollution. Unfortunately, big oil has lobbied successfully to avoid legislative requirements to reveal the exact chemicals and other ingredients used in drilling operations. Competing factors such as inexpensive energy and fuel, job creation and the sometimes large pay-outs to landowners for mining rights have done little to encourage legislators to act proactively. The fallout from reckless fracking is immediate, much more so than the slow damage wrought by global warming. Groundwater contamination in Pennsylvania is unlikely to concern someone living in California, especially if Californians are enjoying inexpensive gas as a result. But, in due time, everyone will suffer the consequences of climate change. The only thing that the fracking boom has done is delay the inevitable, or at least put it out of everyone’s minds. In finding a nice-seeming short term solution in clean natural gas, we have forgotten just why fossil fuel dependency was so dangerous in the first place. The new supply of oil from Iran soon to flood the market will further mask the problem and delay implementing new strategies for global fossil fuel independence. The fracking case is interesting in that we see real time hazards being immediately challenged with legislative actions. As soon as methane was detected in the water, there were lawsuits and regulations aplenty, mostly at the local or state level. It serves as proof for our intuition: legislators and courts respond better to concrete, urgent threats than to long-term threats. However, these responses are defensive, only reacting to an event that has already occurred, the total, possible negative impacts of which are often misunderstood. 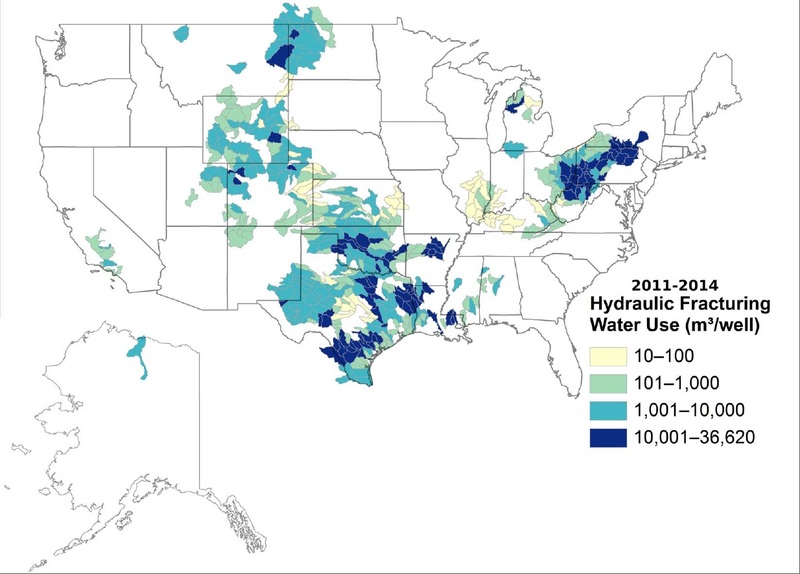 A larger problem is that every state approaches fracking differently. In the same month that the Maryland General Assembly passed a moratorium on new drilling permits and tightened its scrutiny on existing fracking sites, an Ohio judge struck down a countywide fracking ban. These sorts of case-by-case legislative fixes and court decisions are nothing new for our legal system. However, they currently stand as one of the few places where the dominion of big oil is being challenged. If the United States is to begin a concerted movement away from big oil, it will need something more definite than a smattering of state-level decisions to do so. And until global warming is firmly established as a serious, urgent threat, we will make no progress. TransLegal has worked in various countries, including Brazil and Colombia, on issues related to alternative to fossil fuels, including biofuels. Call us with your questions. Today’s post continues our prior discussion of the Obama Adminstration’s Deferred Action for Childhood Arrivals (DACA) and Deferred Action for Parental Accountability (DAPA) programs. In November 2014, as part of the Immigration Accountability Executive Action, the Obama Administration announced the expansion of the existing 2012 DACA program and introduced the DAPA program. DACA was expanded by removing the upper age limit which previsously excluded persons older than 31 on the date of announcement (i.e., those born before June 15, 1981) from applying for the program. DACA will now apply to all eligible immigrants who entered the US before the age of 16, regardless of how old they are now. The second benefit of expanding the DACA program is increasing the term of the employment authorization to three-year increments, rather than two years. Finally, the eligibility cut-off date by which a DACA applicant must be in US was extended from June 15, 2007 to January 1, 2010. Obama’s executive action has resulted in a multi-state lawsuit filed in a Texas federal court to block the immigration order from taking effect. The case, Texas v. United States, has 26 states challenging Obama’s immigration order by contending that the President overstepped his constitutional authority by acting unilaterally. 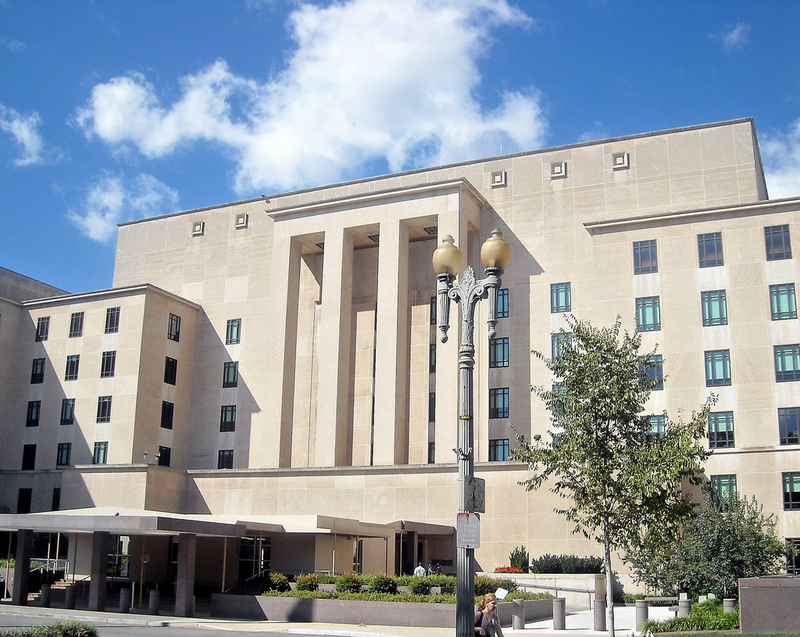 The plaintiffs argue that the executive actions are in violation of Take Care Clause of the US Constitution and the Administrative Procedure Act (APA) as there was no formal notice-and-comment procedure. In addition, the plaintiffs claim that the stay from deportation of the undocumented immigrants who would benefit under the DACA and DAPA programs would place an undue economic and financial burden on the states. The Texas federal court ruled in favor of plaintiffs and halting implementation of DAPA and the expansion of DACA pending further judicial review. However, the court’s preliminary injunction does not prevent USCIS from accepting applications under the original 2012 DACA program. 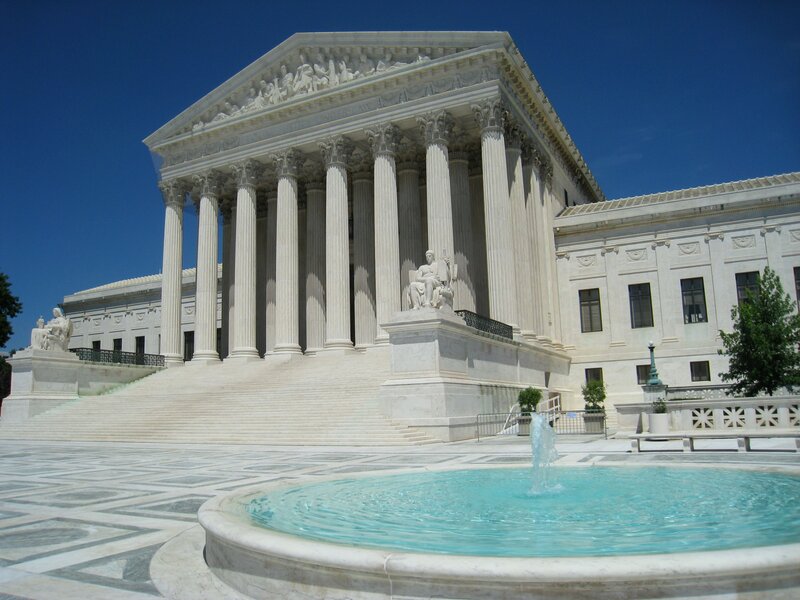 The federal government appealed the Texas court ruling before the Fifth Circuit in New Orleans. 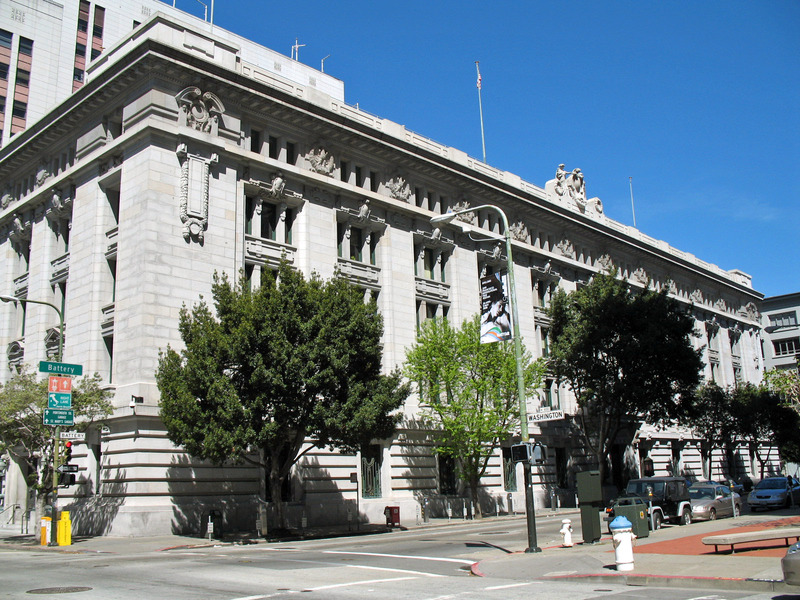 Oral arguments were held July 10th 2015 is set for oral arguments. The case has the potential to land in the Supreme Court by next year. 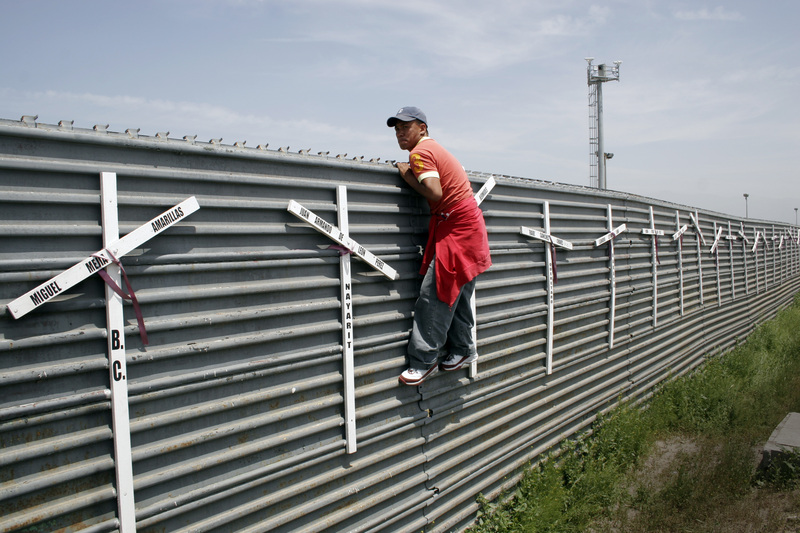 This landmark case has divided the nation cutting across sections of the society, and the recent anti-Mexican immigrant rants from Donald Trump have deepened that division. Though half of the US states have opposed the reforms, many support the implementation of DAPA and DACA. Proponents of the case include 15 states and District of Columbia, besides many immigration rights groups, businesses and trade associations. They have filed “amicus curie” or “friend of the court” briefs touting the economic, electoral and, most importantly, family benefits these immigration reforms could bring. Recent studies by independent agencies, like the Council of Economic Advisers, show DAPA and DACA reforms would bring substantial benefits to the states and nation, as a whole. Under these programs, certain immigrants are granted work permits which would lead to higher wages, opportunities to find jobs that match the immigrants’ abilities, greater economic productivity and greater tax revenues. By implementing DAPA alone, there would be an increase in gross domestic product (GDP) by between $90 and $210 billion in 2024. There would be also roughly 21,000 jobs per year created over the next 10 years, and payroll taxes would increase by $16.7 billion over next 5 years. The Obama’s Administration’s main purpose for introducing DAPA and DACA is to provide immediate relief to families who would no longer live in fear that their loved ones could be detained or deported at any time. It provides much needed family stability to undocumented immigrants in the US and would also allow their children, many US citizens, to grow up in the US. Studies estimate that approximately 5 million undocumented immigrants would benefit by reuniting with their families. 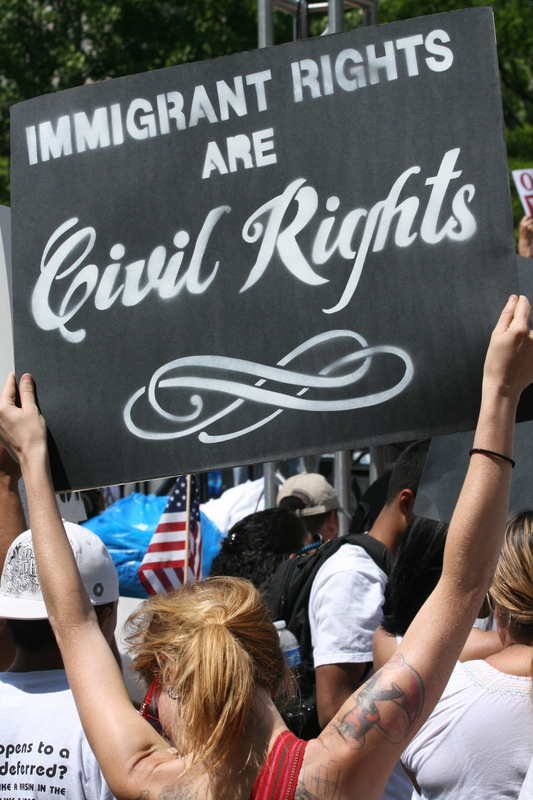 Apart from the economic gains to the nation, DAPA and DACA have key electoral implications. Many who are eligible for the DAPA program are Latino and Asian immigrants who could form a significant voting block during the 2016 presidential elections. These voters could affect election results, especially in swing states. As the debate over the pros and cons of DAPA and DACA continues, the presidential candidates for 2016 election should clearly articulate their position on these executive reforms in a meaning manner. The current hate speech is neither helpful nor constructive: it does nothing to find permanent solution to fix our immigration laws. TransLegal is available to help corporations and individuals navigate the intricacies of the US immigration system. Call us with your questions. Brexit: What is it, and what does it mean? TransLegal, LLC works to formulate strategies to accomplish global business goals. We help law firms and consultancies provide specialized international services to their clients. We also work directly with corporations and individuals in the multinational arena. Our services include assistance with international legal, regulatory and commercial issues. TransLegal founder, Francisco Laguna, has worked in international law and consulting firm settings both in the United States and abroad, including countries such as Colombia, the Dominican Republic, France, Luxembourg and Spain. Mr. Laguna comprehends the differences among legal and commercial cultures. He bridges the gaps between common law and civil law systems, understands the nuances of doing business internationally and advises clients accordingly. Mr. Laguna works with clients and the co-counsel of the TransLegal Network to formulate specific strategies to accomplish their commercial objectives or to resolve commercial disputes. The materials on the TransLegal website and blog are for informational purposes only and are not legal advice. Use of this website and blog does not create a client relationship between you and TransLegal. You should not act upon the information on this website or blog without seeking specific advice in your own state or country.